Can’t seem to decide between hair up or down for your wedding day? Then check out these perfect half up half down wedding hairstyles in our collection below! Half up half down wedding hairstyles flatter almost any bride because of the versatility that comes along with choosing this style. This means you can do a half up half down style with straight, curly, or loose waves and still look glamorous for your wedding. Add floral hair pieces or braided features for a more whimsical look, or try a pulled back look for a chic style. 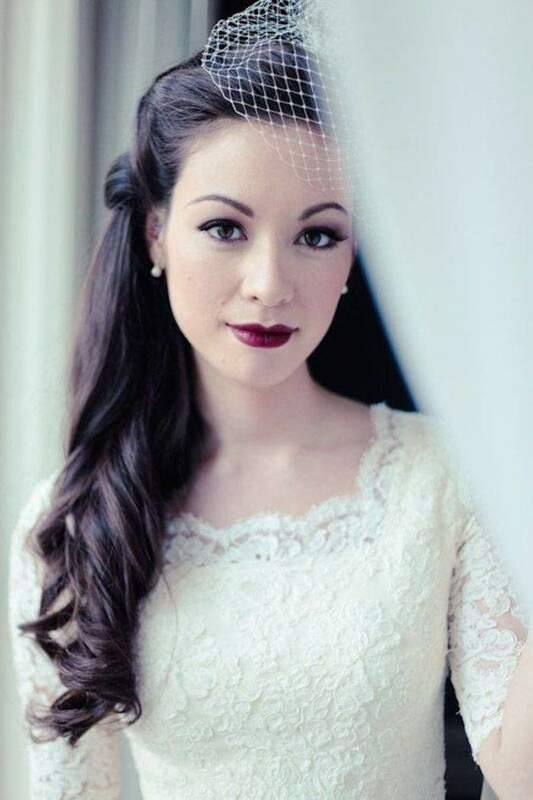 Check these images out below for some half up half down wedding hairstyle inspiration! Half up half down wedding hairstyles flatter almost any bride because of the versatility that comes along with choosing this style. Pull a small part of your hair into a lower half up half down wedding hairstyle for the ultimate whimsical look. 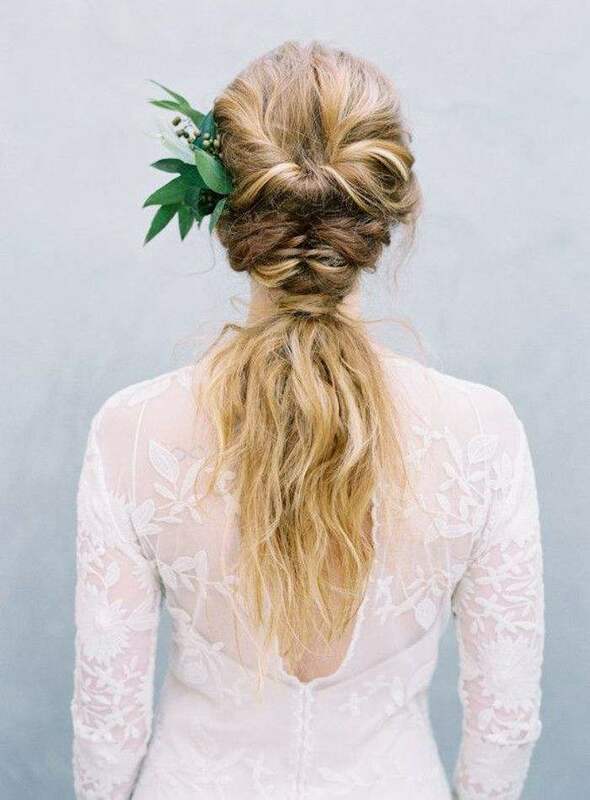 Whether you use braids or twisted pieces of hair, this style is perfect for the free spirited bride with extra long hair! 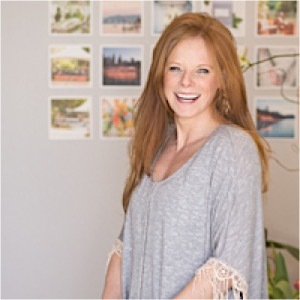 Choose a straightened half up half down wedding hairstyle for a chic and elegant look. 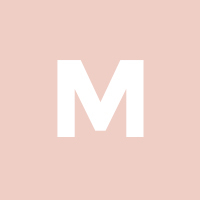 The simplicity of this hairstyle will allow your makeup and dress to really pop, while still showing off a unique look. 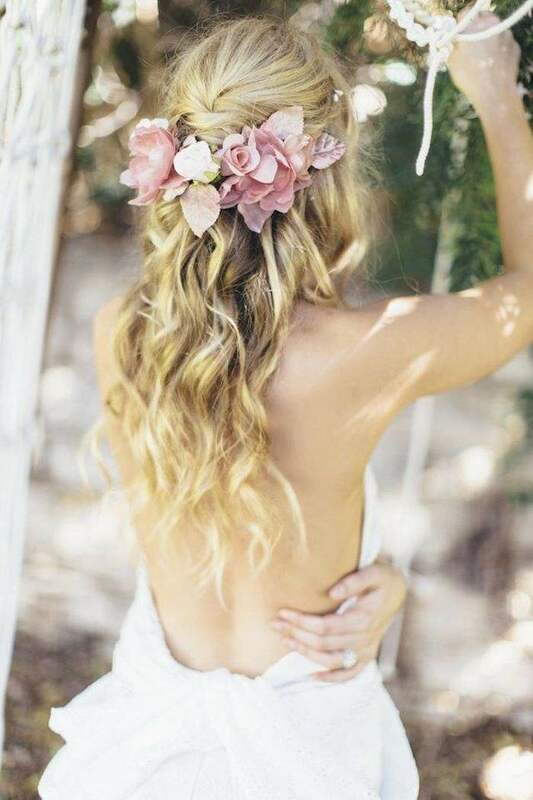 The perfect addition to a half up half down wedding hairstyle is a simple floral detail to accent the back of your hair. Choose from any flower to really personalize your hairstyle! 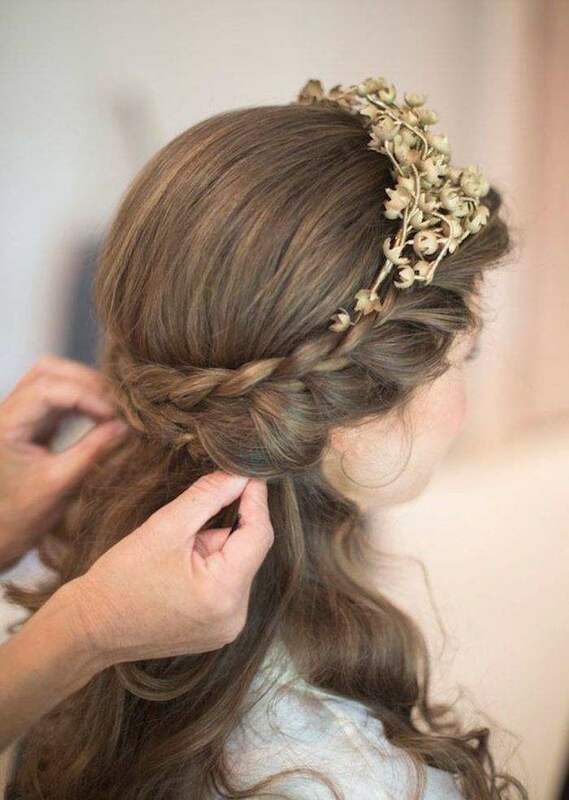 These adorable wedding hairstyles and great for any bride with any style. 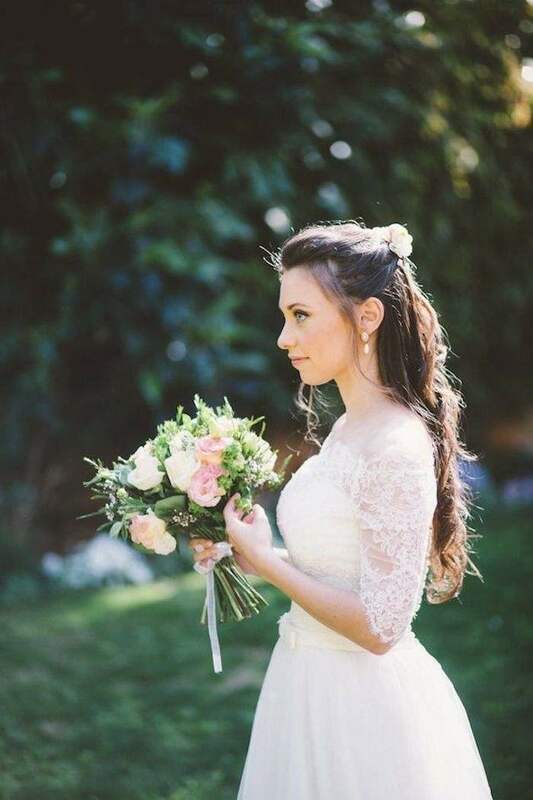 There’s simply so much you can do with a half up half down wedding hairstyle, so if you’re struggling with the perfect wedding day look be sure to remember these hairstyles above!